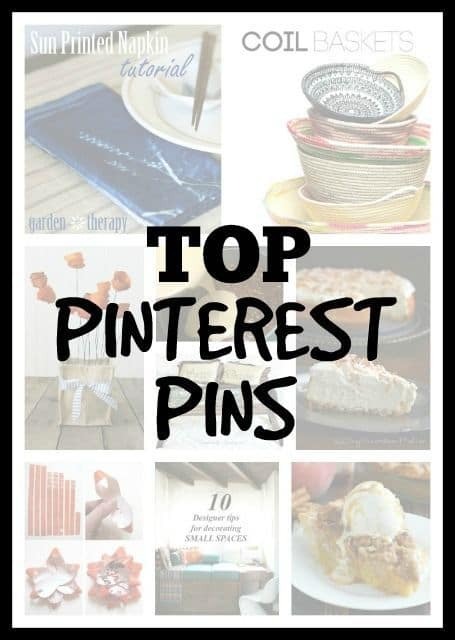 Here are my 10 favorite Pinterest pins from this past week. This collection includes popular pins as well as pins that had a special impact on me. In this week’s collection, you’ll find the perfect Fall centerpiece, designer tips for decorating small spaces, the secret to making fabulous gift bows, a recipe for pecan pie cheesecake, and more! If you plan on using any of these recipes, quotes, or DIY projects- please leave a comment for the blogger who originally posted the photo (click the link associated with the photo to visit the blogger's website). Also consider following that blogger on social media. These bloggers deserve to feel appreciated!